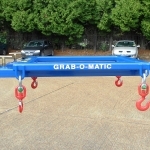 This Grab-O-Matic bag transfer fork attachment unit was manufactured specifically to transfer 1000kg bags from wooden pallets to plastic pallets in a food factory, the safety swivel hooks and bespoke fork spread were specified by the customer. Please get in touch for a quotation for your bag handling requirements. 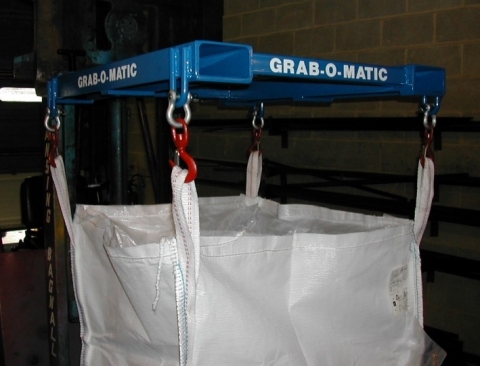 The unit can be designed to suit customer specified bag sizes. 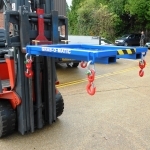 The unit can be attached to the forks with T-bolts as shown or heel pins can be specified if required.